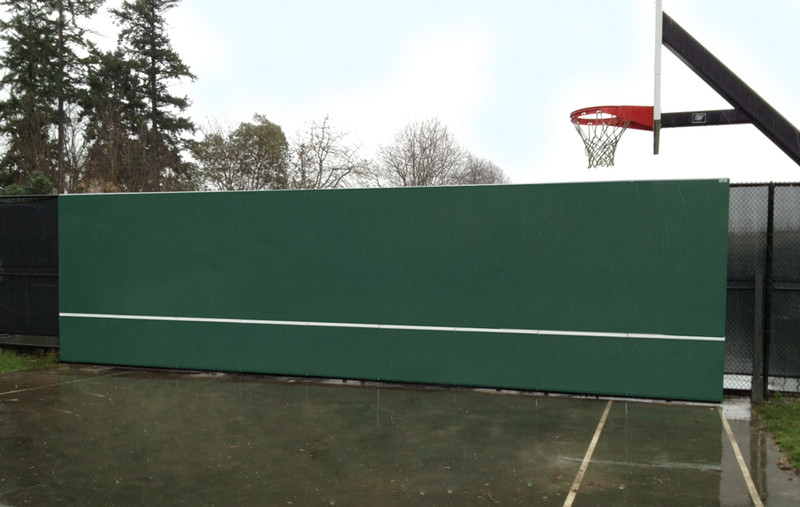 Compare Rally Master Backboards to other types of backboards. 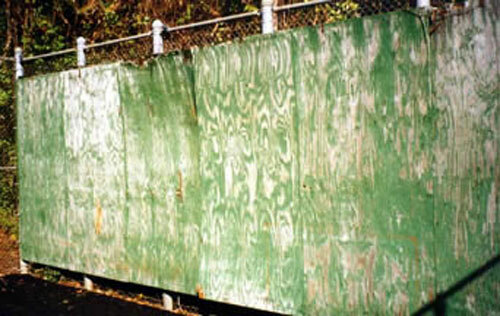 Wood: Wood backboards require ongoing painting, flashing, and caulking. They are subject to warping, rotting, and fading. 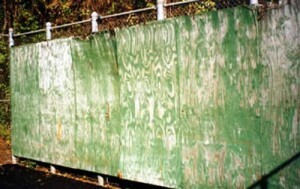 Wooden backboards also produce the loudest ball rebound noise. 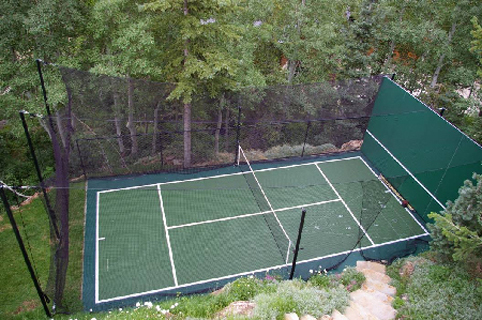 A typical wooden backboard lasts 3 – 5 years. 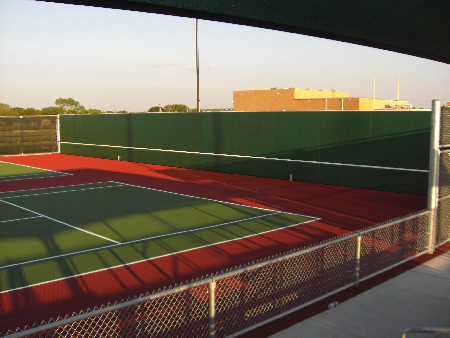 Concrete: Concrete block backboards require a reinforced concrete footing, as well as reinforced concrete infill inside the actual blocks. 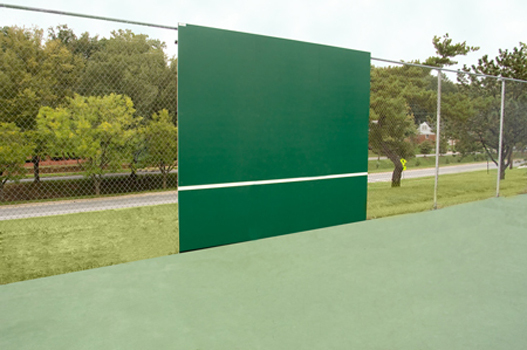 They are usually four times the cost of a fiberglass backboard and require constant maintenance. 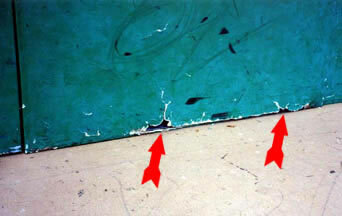 It is very difficult to prevent cement stains from bleeding through the painted exterior. 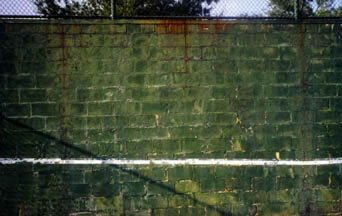 Initially very expensive, concrete backboards require constant maintenance. Fiberglass: Fiberglass backboards have a thin fiberglass skin constructed over interior supports and cardboard filler. 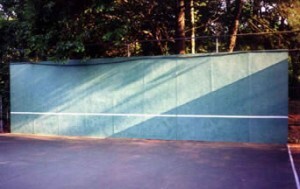 The panels are then painted and the net line marked with white tape. 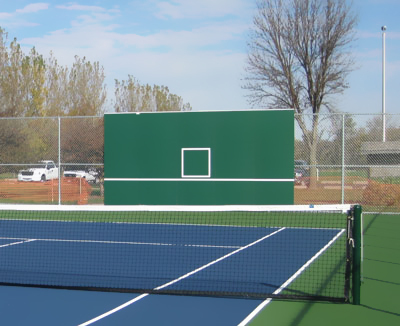 Fiberglass backboards can split open, develop dead spots, and irregular rebounds when the thin outer shell separates from the core. 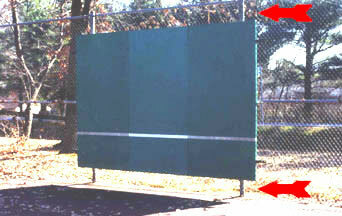 Fiberglass backboards are easily damaged by lacrosse and soccer practice. Extreme fading is very common. 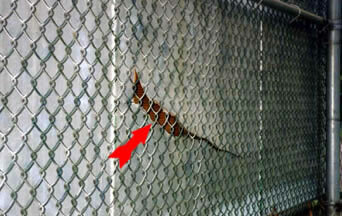 Fiberglass backboards are very fragile, with splitting and cracking likely to occur.